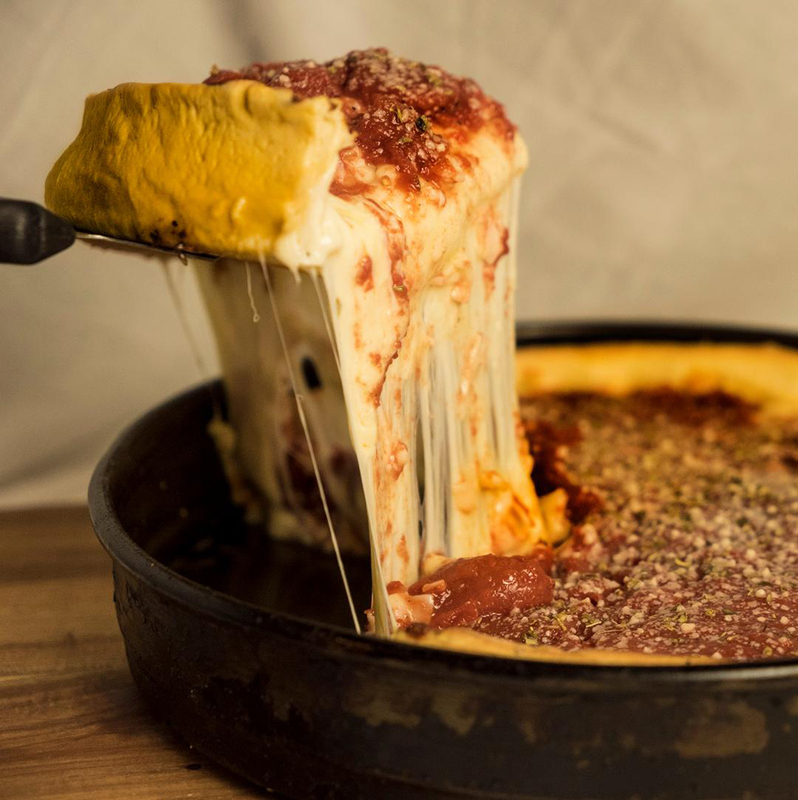 Rosati’s Pizza, an Illinois-based chain specializing in Chicago-style pizza, is coming to Carmel in early 2019. Franchise owner Jim Duda, of Carol Stream, Ill., attended Purdue University before opening his first restaurant, Millie’s Pancake Shoppe, in Addison, Ill. According to Duda, who often visits friends and family in Hamilton County, Carmel is the perfect location for his newest business. The restaurants will be at 890 E. 116th St.
Rosati’s first launched in Chicago in 1927 as a small family restaurant. Modern Rosati’s restaurants still use family recipes for ingredients such as pizza sauce. Rosati’s offers thin and deep-dish pizza as well as thick-but-not-deep-dish “double dough” crust and stuffed crust. Other menu options include wings, salads, pastas and sandwiches. For Duda, two standout menu items are the Rosati’s Cheef (a French bread sandwich with Italian beef and mozzarella) and his favorite build-your-own pizza option, featuring meatballs and giardinera (Italian pickled vegetables). Rosati’s was originally slated to open in December, but the timeline was pushed back because of weather delays. Duda now plans to open the first week of January, although an official date hasn’t been announced.